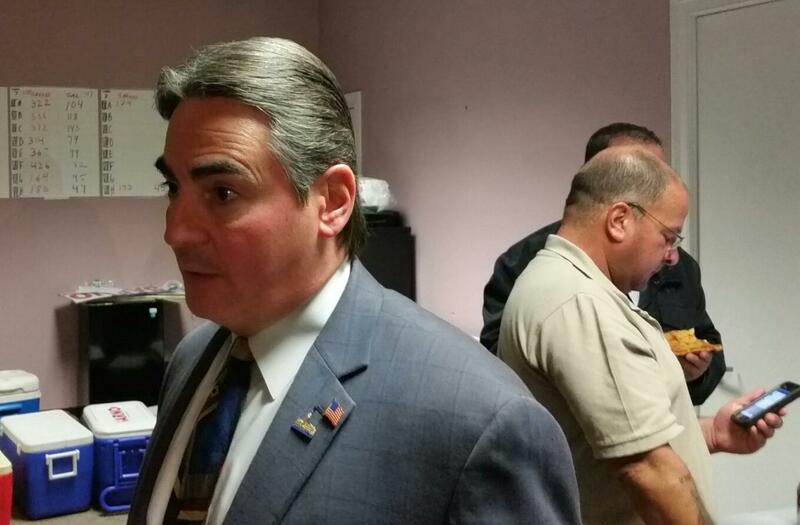 Mayor Domenic Sarno spoke with reporters at his campaign office after easily winning re-election in 2015. He has said privately, and now publicly, he will run in 2019 for another four-year term. The mayor of the largest city in western Massachusetts has declared publically he plans to run for re-election in 2019. It was not a formal campaign announcement, but during a groundbreaking ceremony for a new preschool in Springfield, Mayor Domenic Sarno made it clear he hopes to continue in the job. "And I remember when I took over as mayor, well over a decade, one of the first...," Sarno said pausing and then adding " And I am running for re-election in 2019 too. Let it be heard and let it be said right now." There was applause and a few cheers from the gathering of about 75 people seated under a tent for the groundbreaking ceremony. If re-elected in 2019, it would be Sarno’s third four-year term following a pair of two-year terms. He is on the verge of becoming the longest serving mayor in Springfield history.